This entry was posted in Conventions, Live Action Sailor Moon, Pretty Guardian Sailor Moon Crystal (2014), Sailor Moon Anime (1992), Voice Actors and tagged Animazement, Katsuji Mori, Keiko Han, Kotono Mitsuishi, Luna, Nephrite, North Carolina, Raleigh, Sailor Moon by Adam. Bookmark the permalink. Please harass Kotono Mitsubishi and ask her about the SMC movies. How about not harassing anybody? Do you really think she’d be allowed to say anything about what’s going on, even if she knows? Harassing is not bad, but asking her would be much appreciated. She can at least say “Keep looking for it”, which means it is happening, or say nothing which is a really bad sign… Asking would help bring us peace. I think we should take ‘harass the voice actress’ off the table and give it a toss out the window. But that’s just me! Oops! Then I retract my post, haha! She better spill some news on Sailor Moon Crystal. I hope we get news before that, but I highly doubt it. If we have no news by then and she doesn’t reveal anything, it is a pretty bad sign. So let’s offer a prayer to the sacred moonlight. Short of using a truth serum, I’m sure she wouldn’t be allowed to share anything on Dream arc at a panel in North Carolina. Any information on it would be released from Toei directly. They sure are dragging. Moon Cosmic Power… Truth Serum!! Wait? What? 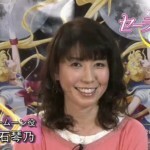 Have I said “Naoko Takeuchi”? No way she could do that for us, she must be on Toei’s side, whether she really wants it or not. Oh, no, wait! I know! Sailor Mercury and Sailor Pluto will help us. They have knowledge in chemistry. So… Mercury… Truth Aqua Serum! Toei, dowse yourself in water and confess! And, if Mercury Truth Aqua Serum is not enough, Pluto will use her Dead Scream to torture Toei and force them to confess. Surprised to hear she graduated in pharmacy considering some of the pseudoscience that makes it into the manga, mostly in the second story arc. Could be she just uses that as inspiration for stories though! You will find some useful information about this around the web . https://www.goodreads.com/book/show/516777.Warriors_of_Legend . I, personally, really liked it and it helped me to fully understand the foundations of the Sailor Moon universe! 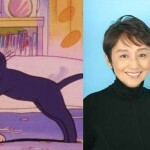 Moreover, the authors insist on the influence that Naoko Takeuchi’s field and place of study had on the creation process of Sailor Moon . Love this book! I bought it back when the live action series was on the air but only read it a couple of years ago. I used to interact with Jay a lot at Genvid and met the photographer at conventions a few times so I received a lot of social pressure to buy the book! Must have forgotten the Pharmacy tidbit. The chemistry part ties in to a lot of her stuff which I think is reflected more in the series. Nice link. I can see my review in there! Well, I wouldn’t have guessed that you were the Adam who wrote a review on this book at this link! I’m a little slow on the uptake, sorry! Sure, Navok and Rudranath’s book could be completed by some further work, but it is very good nonetheless and highly recommended to fill up any Moonie’s personal collection. The book was published in 2005, but I only heard of it for the first time one or two years ago, during a browsing session in English (when I’m not too lazy to do so), searching for any info on Sailor Moon. Interestingly, the book was translated into Spanish in 2009, but it seems to be the only translation made to this day. About the mention of Takeuchi’s field and place of study in the book, you can report to pages 49 and 50, and 59 (especially this one) . 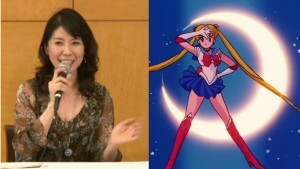 @Aurelia does the book talk about the fashion inspiration behind Sailor Moon? I love that Naoko dressed her characters in designs literally off the runway. My mom a few months ago was at the Dior exhibit and uploaded pictures to her instagram and I was like, Princess Serenity’s Dress is on display! I don’t recall this being in the book but I’ve seen some great comparison photos online showing some of the actual outfits which inspired the manga. Introduction / Sailor Moon: A Primer / Exploring the Sailor Moon Universe / Family / Culture and Lifestyle / Education / Religion / Foreign Influences / Conclusion / Footnotes / Acknowledgments.The book has 147 pages. I now have a new mission in life: Obtain the book. It’s on Amazon! I added it to the Amazon side banner that’s on the left column on the main page. 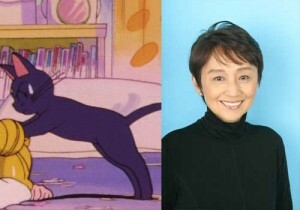 You mentioned Keiko Han is the voice of Luna, but totally missed that she also voiced Queen Beryl? I thought it was hilarious when I first discovered that and made jokes about Luna having been the villain all along. Oh right! I keep forgetting about this myself, though I’d mentioned it in other posts. Finally, an event in my state. Too bad I can’t go. My mom has to work and can’t take me. And even though it’s in NC Raleigh is still kinda far away. Come to Eden or at least Greensboro, gee. I will be attending this event! According to the website, you are only allowed one thing to be signed by each of the voice actors and has to be licensed merchandise. I was thinking of ordering the first half of the Japanese blu ray of the original Sailor Moon. I am just debating on whether I should have all three voice actors sign it or only Sailor Moon, what do you guys think? I often like for a voice actor to sign something with their image on it, but then I have a ton of different DVDs with autographs on them as a result. The first half of the Japanese Blu Ray does have both Sailor Moon and Luna on it so sounds great to have those two voice actors to sign with extra points that Keiko also voices Beryl. 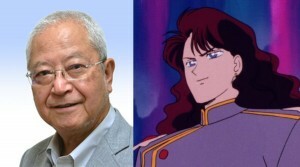 It would seem out of place to have the voice of Nephrite sign it. I also love that the autographs would be laminated once I let the signatures dry and insert them back on the Blu Ray case. I wish I could also have them sign both volume sets of the first season but with the lines I’m sure they will be taking the one item rule very seriously. I have decieded to get the Japanese set of the movies! Will have Kotono sign the R movie disc and Keiko the S movir disc!